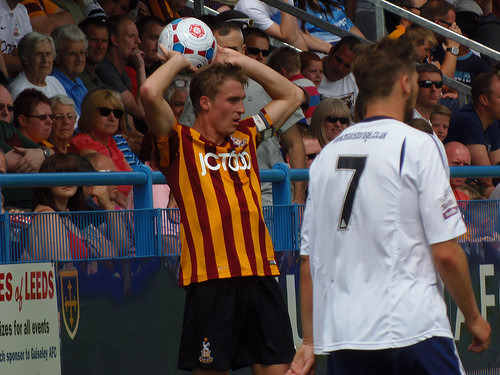 Saturday’s 2-0 Yorkshire derby loss to Sheffield United proved to be another difficult occasion for the 2013/14 player of the season, Stephen Darby. Meanwhile the return of Jon Stead on loan offers the potential for a different strike partnership. Gareth Walker asks WOAP pundit team members Alex Scott, Andrew Baxter, Damien Wilkinson and Katie Whyatt their views on the game. Is it simply the formation that is causing Steven Darby problems this season and, if so, is he capable of adapting his game to cope with his new role? Andrew: I think the diamond formation does hinder Darby, with the lack of width. He gets faced with opposition overlaps quite a lot, and can’t really bomb forward and overlap himself like he did so frequently last season. In terms of adapting his game, I think he is capable, but it may take time, the cover he had last season in the form of Garry Thompson who is no longer at the club has gone, and Darby needs to pick his moments (in terms of going forward) carefully, to avoid being caught out of position. Alex: It’s Darby’s lack of comfort which is unavoidable. He has excelled in the past two years in a defined role, with clear boundaries. Everything he has been asked to do he’s been comfortable and confident with, and he’s excelled. This season, however, he’s been forced to do things out of his zone of comfort both offensively and defensively. Going forward he is being asked to take on an extra burden – he can’t just pass up the line or ping the ball long to Hanson on the diagonal anymore, he has to offer more. And he has never looked confident. Defensively, as Andrew noted, he no longer has cover and so often is left isolated against attacking full backs overlapping. Saturday’s instinctive, panic decision for the second yellow belied a lack of confidence in himself directly attributable to his season so far in this formation. The question of whether he is capable of adapting to fit in the formation requires an expertise I don’t have, but the issue is that he is being asked to do something with which he is not comfortable. This is the big change from the last two years, where everyone’s roles were clear and defined. As the season has progressed, more and more players are being forced out of their comfort zone to the point you wonder whether the benefit has evaporated the manager may be about to go back to the drawing board. Katie: I wrote an article on the eve of this season discussing Darby’s promotion to captain, and any mention of the formation was reduced to a footnote, effectively. I was confident in his ability to adapt to the diamond – and why not, after last year? There are flashes of the player of old occasionally, but there’s just not the assuredness we’re used to seeing. Saturday felt like a case in point, symbolic of Darby’s campaign thus far. The initial lack of width in the first half allowed United’s wingers to exploit the space and run in behind the back line; there were varying degrees of success in terms of their clinicality in the final third, but it just felt like Andrew Davies and Rory McArdle were constantly hauling City out of the last ditch. It was only really after Darby’s dismissal that the Bantams strictly shifted to a more rigid 4-4-1 with a tighter midfield line – if they’d done this earlier, perhaps Darby wouldn’t have been dismissed, as the second booking stemmed from him scrambling to recover lost ground. In terms of what’s to blame, I’d be tempted to look towards the formation and the personnel reshuffle – as Alex has said, everyone’s functions are suddenly changing. There’s Kennedy replacing Thompson and playing in a more central role, and, on top of that, you’ve got no direct defensive cover without stretching the diamond. And then it’s a vicious circle: jittery performances don’t breed self-belief. I think Darby probably could adapt his game, as there have been glimpses of potential there (Leeds and Coventry) but, as Alex touched upon, would it be worth it? For me, the diamond was the wrong choice on Saturday because of the width Sheffield sought to play with, but I still believe it’s worth persevering with. City have brought in the players to make it work, but we just need to build confidence within the squad and get Aaron Mclean firing. The margins with the diamond are paper-thin and it will be so tricky to get right otherwise. Damien: I get the points noted regarding the impact the diamond has on Darby’s game, but you just wonder how much of his apparent lack of confidence is now stemming from the increasing observations that he can’t operate in this system! From some of the conversations you see elsewhere about him struggling you would think we have converted him from right back to goalkeeper, and there is also a danger that this is rapidly becoming this season’s “Jones’ legs have gone” catch all sentiment. He certainly seems to be almost trying too hard at times, and maybe the burden of the captaincy isn’t helping him. Katie: Maybe the observations from the stand are undermining his confidence, which would be devastating, but I think there will be so much personal frustration there, too, because he’s not matching the standards he set himself last season. I felt his expression upon receiving the second yellow yesterday betrayed that underlying exasperation, and, if this is the case, I hope the break he spends serving his suspension allows him to wipe the slate clean and come back firing on all cylinders. I agree with Damien and it’s been far from an unmitigated disaster – only when you compare his displays to those of the last two seasons do you begin to panic – and I have every faith he’ll sort it out this blip. It’s still early days and we’ve had a tough run of fixtures over the past few weeks. In light of James Hanson’s return to fitness, is Jon Stead the right loan signing for us and is Aaron Mclean capable of forging a partnership with either of them? Katie: I think Stead is probably just a tad more creative than Hanson, which could help McLean in terms of how the former Hull man reads the game, but the problem is that a long-term solution is needed. It’s the Hanson-McLean partnership that needs to work. Maybe Stead will be the precursor to the Hanson-Mclean dynasty? From what I can remember of last year, Stead offered a lot in his build-up play, and this will help a Mclean that can’t read Hanson’s knockdowns and likes balls-into-feet on the cusp of the back line. Alex: I can’t envisage a scenario where Hanson is fit and doesn’t play. Even Saturday, amidst a dismal first half performance, he looked impressive. Without question, right now, our best two forwards are Hanson and Stead. But playing those two without wingers is illogical. The double signing of Andy Holliday and Stead may imply that a move to a flat midfield four may be in the works. Filipe Morais was effective toward the end of the game, and with a makeshift right back in for Tuesday night, some extra support in front may be of benefit. Saturday’s option of a narrow diamond that included a central defender, a forward, and a winger in Mark Yeates, whilst two central midfielders sat on the bench screamed of muddled thinking, and perhaps going back to basics in the next few weeks may be a better option for everyone, Darby in particular. Andrew: I thought Stead was steady (no pun intended!) last season, but I think, in terms of style of play, he is too similar to Hanson. I would like a pacy striker brought in on loan to feed off Hanson’s knock-downs. Having said that, a Stead-Hanson combination could be successful, given the right service. As for Mclean, his workrate is good but he never seems to be in the right place at the right time. I lost count of the times on Saturday that Hanson won a header, and Mclean was nowhere near where the knock-down ended up. Too many times on Saturday Hanson was chasing his own knock downs because no one can anticipate where they are going. Thats our problem and the players who play with Hanson. Hanson is doing his best winning headers 90% of the time but Maclean is always at the wrong side of the pitch miles away from the action. I thought Aaron was a lot better with Stead as his goal ratio proves but I would play McBurnie with Hanson because McBurnie seemed to thrive next to Hanson against Leeds but not so sure when he plays with anyone else. There appears to be a growing and generally held view that it is now a matter for the players around Hanson to read where his headed flick-ons are bound. I find this an unusual concept and I doubt whether we’d take the same approach if another player were to pass a ball randomly and expect other players then to read where the ball was intended to be. No, it’s a golden rule that players are expected to pass the ball whether with their head or their feet to a fellow team mate. It’s not sufficient to pass a ball in the general direction of a team mate or indeed in a different direction and then expect the team mate to read where it was intended. Thus, it’s a matter for James Hanson to direct his headed flick-ons to his team mate, McLean in particular, and not expect him to have to read or indeed guess where the ball might be directed. Last season, McLean and Stead were beginning to strike up a useful partnership in a matter of a couple of games. That wasn’t imo because McLean somehow learned how to read where Stead’s flicks and passes were intended. No, it was that Stead had the composure and the skill to direct the ball to where his partner was positioned. It wasn’t that McLean somehow had a telepathic relationship with Stead which he hasn’t developed with Hanson after many more games.If we really do want to understand why McLean cannot read Hanson’s flick-ons then I suggest we need a paradigm shift and question not why McLean isn’t a good reader of Hanson but rather why Hanson cannot direct the ball better to his partner. So how do you explain how well Nahki Wells read Hanson’s flick ons? I am not convinced that Wells was any better at ‘reading’ James’ flick-ons than anybody else and don’t accept your assertion. When I’ve seen Wells’ goals, many of them come from defensive mistakes, others from his own individual play and some from his outright pace. None of that fundamentally detracts from the need for all players to pass the ball using their head or their feet to a team mate. That need extends to Hanson as much as it does to Knott or Clarke or even McArdle. At the start of last season, when Wells was still here, a friend of mine analysed the aerial contest between Hanson and the centre half in one game. I don’t recall the particularly game unfortunately. He is unquestionably a Hanson fan and wanted to demonstrate to another friend who is not a Hanson fan what a great header of the ball he is. As a quick summary over the entirety of the game, Hanson won slightly more headers than the opposing center half, 13-11 from memory with about a third won by neither. Which is a good ratio but not the 80 or 90% or even ‘he wins everything’ which some supporters suggest. But in this context, the more important number was addressed by asking how many of those winning headers went towards Wells? The answer was 3 or alternatively less than 25%. Which suggests that either Hanson is not very good at directing a ball to his partner with his head or alternatively that Wells is not as good as some indicate at reading Hanson’s intentions. So which one do you think it is? I find it amazing how much many people will defend Aaron Mclean and blame everyone else. For what it’s worth I don’t think Hanson and Stead are the same type of forwards. 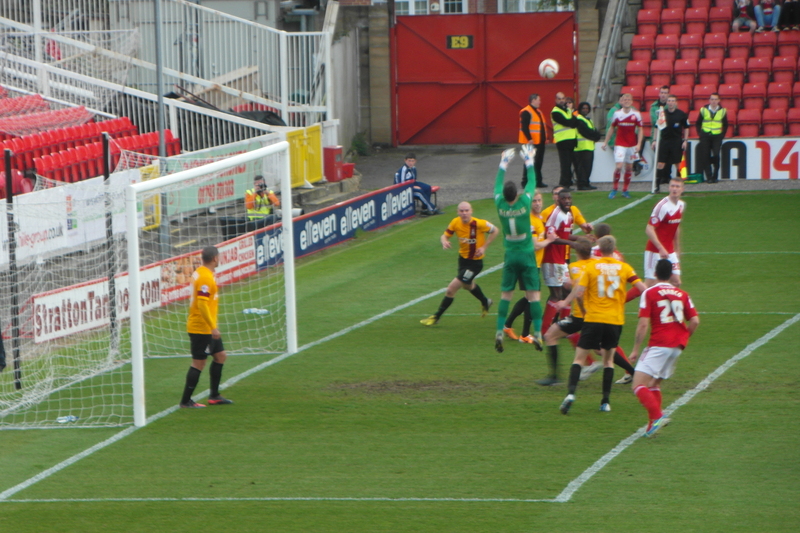 Stead is better with the ball at his feet but lacks the aerial presence of Hanson. Hanson can dominate the backline (and he can, I have no idea what game you are talking about but it seems a rather trivial analysis) and can win most things. He can also hold the ball up well. I don’t agree that Mclean and Stead forged a particularly useful partnership last season. I thought Stead did well and was a good signing, but I don’t think Mclean played well at all last season and didn’t fit in with the approach. Not entirely his fault I would argue, but still. The games that summed him up best were the final two matches of the season – Mclean scored twice but his performances during those games were dreadful. Give him an opportunity and he will finish better than anyone at the club, but his role in the link up play was poor. Nahki Wells scored some 60+ plus goals for City. If you think they were all down to defensive errors well I don’t really know where to begin with that. The Wells-Hanson partnership was terrific and one of the best we have ever had (up there with Blake and Mills). I appreciate you do not rate Hanson but to argue that they were not a good partnership is bizarre. At the end of the day Hanson has been out for a month and Mclean did not flourish in his absence. Again, not all his fault. If you were to put Hanson, Stead and Mclean up for sale to every club in the Football League I can guarantee who would attract the most interest and who would attract the biggest fee – that guy who apparently aimlessly heads the ball on the few occasions he wins it. The one who is our top scorer. What I saw from Hanson Saturday was him in a bruising encounter with a decent Sheffield United backline, and him win the ball and flick it on into dangerous areas. We need a striker who can play on the last man and be in these danger areas. It is evidently not Mclean’s game and that’s fair enough, but that doesn’t make Hanson a bad player or the route of the problems. We have three decent strikers with good pedigree, and at the moment it’s not working. Perhaps Mclean and Stead can gel – we will no doubt find out over the coming weeks, but I won’t be holding my breath that dropping James Hanson is the answer. You appear to have made several uninformed assertions about my view of both Hanson and McLean. I am disappointed that your had to resort to such an approach so let me address those assertions first. 3 I don’t recall the particular game but it was not a trivial evidence. It used facts to explain the performance of one of our key players in an objective way without recourse to the usual ‘he wins everything’ argument and that another player simply cannot read his headers. You might want to ignore the evidence but even in its limited form, it demonstrates and supports my particular opinion. 6 I have not inferred that Hanson is a bad player at all. He is undoubtedly a threat to opponents and creates concerns for oposing defenders. He is a very large handful and long may that continue. But for some to argue that McLean just cannot read James’ flick-ons is a misreading of the underlying issue imo. Maybe some better coaching of Hanson is required to make better use of his physical presence to win even more headers and importantly to improve the accuracy of them. Another issue coming from the Hanson flick ons is that it is not just McLean who should be trying to read them. At some points on Saturday we had 3 players in the and around the centre circle or in our own half looking for the ball off the defence. If they did get the ball with the chance to turn there was only 3 players ahead of them to pass to. We are not good enough to pass it though teams from one end to the other. Can’t agree more about wingers either, whatever standard of football I believe you have to have at least one player who can run at and beat a man one on one and cross from a good angle. It would be interesting to look at the 92 teams and see how many didn’t have anyone with pace of this ill in their 11. Like Dennis I rate Hanson overall although admit it took a while to be won over. We are certainly a better team when he’s playing. That said I have always thought – and still do – that directing his headers as opposed to simply flicking on is an area that he can improve on.